The big brother of the Google range is here! The Pixel 2 XL is a fantastic phone, but of course there are still problems with the device that keep us busy. Thankfully, whether you need a Pixel 2 XL screen replacement or any other repair we have you covered. While we make sure all our Pixel 2 XL repairs are affordable, what truly set us apart from the rest is that we thoroughly test all devices making sure that everything works properly after repair & that your device is fixed right, the first time! Another reason that our customers trust us is because of our experience, having been in the business since 2009 and having helped out 30,000 customers! 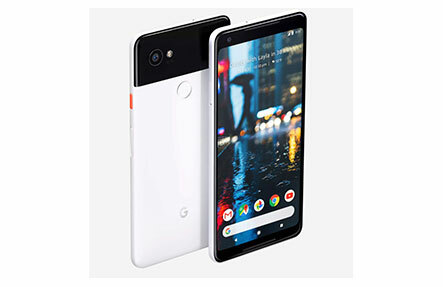 We often can even fix your Pixel 2 XL on the spot from our stores right across Perth, including screen replacements. Think you’ve found someone who will repair your device in Perth for cheaper? Then we’ll match their price! So Contact Us now to set up an appointment, or simply come in to one of our stores for all your Pixel 2 XL repair needs! Copyright 2018 Phone Ninja, All rights reserved. All other trademarks & copyrights are owned by their respective owners. We are an independent phone repairer and not affiliated with Google Inc. in anyway. All our Google and Nexus repairs use compatible or refurbished parts only. None of our repairs, products, or parts are official nor endorsed, authorized or refurbished by Google or Pixel or HTC.